We are a family owned and operated business, located in the Historic Downtown of Fairburn, GA, about 20 minutes south of Atlanta. For over 50 Years we have provided quality and trustworthy service to our customers. We repair all makes and all models of vehicles offering a 12 month/12,000 mile warranty. Being that we are a Napa Auto Care Center, we are able to provide a Nation Wide 12 month/12,000 mile parts and labor warranty on any Napa parts. That means no matter where you are in that nation, your warranty is good, valid and will be honored at any Napa Center nationwide. 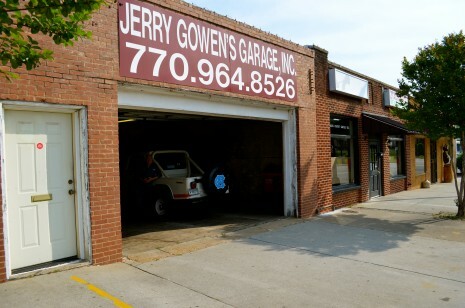 We’ve got you covered at your hometown Jerry Gowen’s Garage family!